Greedy goblin: "Play to win" vs "Play for ego"
Sirlin's Play to win had huge effect on the thinking about gaming. His most important discovery is: "everyone begins as a poor player - it takes time to learn a game to get to a point where you know what you’re doing. There is the mistaken notion, though, that by merely continuing to play or “learn” the game, one can become a top player. In reality, the “scrub” has many more mental obstacles to overcome than anything actually going on during the game. The scrub has lost the game even before it starts. He’s lost the game even before deciding which game to play. His problem? He does not play to win. " Before this, the common thinking was "bad players simply played less than us", aka "he just needs some gear". Sirlin's huge contribution was to recognize that being a "scrub" is not a quantitative issue (you start at 0 and by playing you get better), it's a "you are or you are not" issue. While spending time in the game increases one's power, the learning-gearing curves converge to two points, a low one for scrubs and a high one for play to win players. A new play-to-win player quickly outperform a veteran scrub. Sirlin also describes how the scrub makes sure that he'll lose against not totally newbie play-to-win players: "A scrub is a player who is handicapped by self-imposed rules that the game knows nothing about. ... the scrub labels a wide variety of tactics and situations “cheap.” This “cheapness” is truly the mantra of the scrub. ... If you beat a scrub by throwing projectile attacks at him, keeping your distance and preventing him from getting near you, that’s cheap. If you throw him repeatedly, that’s cheap, too. ... If you block for fifty seconds doing no moves, that’s cheap. Nearly anything you do that ends up making you win is a prime candidate for being called cheap." The scrub refuses to use cheap tactics and therefore loses. That's a great find too. However Sirlin stops here. He accepts these scrubs being scrubs, describe their stupid behavior and that's it. I'm of course not devaluing it. Kepler did the same, described how planets and stars moved. However it is not enough. There is a reason why the classical mechanics is called Newtonian instead of Keplerian. Newton figured out why they move that way, allowing people to design machines using the same laws. I believe I know why scrubs are scrubs and how can one fix being a scrub. Sirlin even describes how the scrub internally behaves: "A common call of the scrub is to cry that the kind of play in which one tries to win at all costs is “boring” or “not fun.” Who knows what objective the scrub has, but we know his objective is not truly to win." He stops there without exploring this "fun" concept of the scrubs. He even tries to devalue it by saying that the play-to-win people also have fun. I think Sirlin believes this "fun" to be only a lame excuse the scrub uses. It is not. It's fundamental describing the scrub and not being one. Contrary what he claims, the "fun" concept is not arbitrary, nor the "cheapness". All scrubs of the same cultural background find the same things "fun" and "cheap". While it's not conscious, the scrub doesn't know what it is, he is drawn to it like moth to the light. The scrub wishes to win. But he wants "fun" more and ready to sacrifice his victory. When he says "I lost to a cheap, boring, no-skill, no-lifer", he means it. And more importantly, every other scrub who seen the match agrees with him. It is not an excuse, it's a lifestyle. They even have a slogan "players optimize the fun out of the games", referring obviously to play-to-win players. When Twixt was "cheap", the whole server considered him cheap and outcast him. The solution to this mystery is ego. The scrub plays not to win the game but to boost his ego: win the sympathy and or respect of his (real or imaginary) peers. Since the majority of the peers are bad in the game or not even playing, simply winning does not attract respect. However doing something spectacular, like some hard-to-execute combo, directly defeating an enemy in PvP or getting high on some list is obviously considered good by observers. If I guard the base in Arathi, a non-player observer see me being idle. The same observer looks at arthasdklol grinding players on the bridge and sees enemies falling by his sword, therefore considers him great. 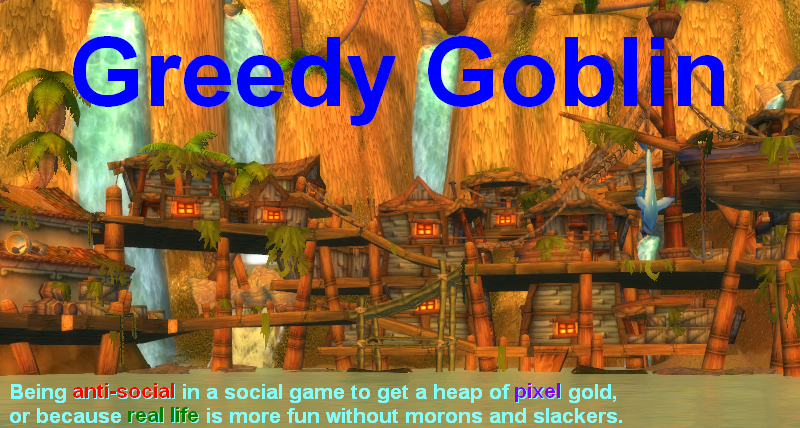 The "cheap tactics" are exactly those which are unable to draw peer respect, like camping, making the same (optimal) move again and again, reading up, getting gold to gems and enchants and so on. Of course this ego-boost is twisted from the start as being illogical. We all know for sure that any activity within a video game is sub-optimal to gain respect of peers. Video games are still outcast, shameful things in the eyes of most. Here internal mental schemes work erroneously culminating in the "e-peen" concept which is totally wrong. While some peers might find you good if you grind noobs on the Arathi bridge, no peer finds your "l33t" gear great as they are just pixels to them. The play-to-win vs play-for-ego personalities are equal to rational and social. If someone cares for the opinion of peers, he'll inherently will find some tactics cheap, the other social players will agree him, enforcing him, so he'll be a scrub without hope to get better. The first step of playing to win is saying "I do whatever I takes to win. I don't care if everyone will hate me for it." There is no other way because they will hate you, as you have to be cheap, as the opponent will be cheap too. Is it cheap to recruit morons to the horde side in Tol Barad? Definitely. Can the horde win without parroting it? They never did. They win only when they come and spam our /trade. Wouldn't it be cooler if they could win just by awesome skill? Of course it would be. Except it's impossible. The scrubs wish to win. They wish for the Hollywoodian event of winning without being cheap. In the movies the hero defeats the boss evil (who is cheap) in a fair fight. Too bad that in real life (which is much less fair than the most unbalanced game) the "boss evil", exactly for being cheap, is too strong to defeat without being cheap. The "play for ego" person is a "live for emotional values" person, who will always be a poor loser. The above gives light to the "no lifer" concept that the scrubs always use. I'm sure we erroneously believe that it means "players who play much more than me". That interpretation is weird. A non-player can call someone no-lifer for playing. But a player, who spent 100+ hours in a game would inherently call themselves bad too. If playing is bad, than playing little is bad too. If it's not bad, than playing "too much" is not bad either. You never hear a smoker who smokes 10 cigarettes a day, calling a heavier smoker an "unhealthy addict". Also, you can get the "no-lifer" title in situations which are uncorrelated with play time. I typically get it in a battleground when criticize the bridge-fighters. Guarding GM definitely doesn't need more hours played than mindlessly grinding on the bridge. The "no-lifer" is meant that he has no life within the game. He plays without "fun", and if he can't loosen up even in a game, he must be a terribly boring person in real life, typically a fat guy living in the basement. The social honestly believes that the respect and liking of random peers is important, therefore lives every aspect of his life, including gaming of course, to impress peers. "Having life" means "having peers respecting you" for them. From their perspective it's unimaginable to enjoy yourself without impressing peers. They find guarding GM boring and believe their viewpoint unique, "guarding a base is boring, so anyone doing it is a sad loser". Any kind of claim that "we have fun winning" sounds a poor excuse to them as their "fun" concept is well-defined and unique: "impressing some peer right now". We cannot take the word "fun" from them or convince them that we are having fun. The only way to change them is getting more peer respect than them. After you won, you can "uncheap" yourself by doing "cool" things with your power. That's why the millionaires donate lot of money front of the cameras. This is why a top raider peacock around with his new mount. Then - by cognitive dissonance - the scrubs will find the former "cheapness" "wit" (example) and from there, it is an accepted move, therefore "fun".